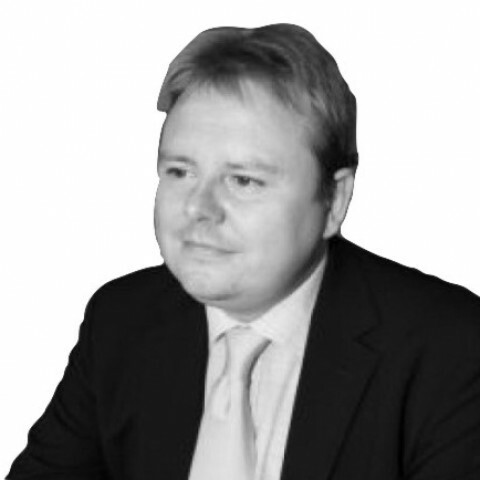 Colin Andress is a civil practitioner, specialising in chancery, property, IP and public law. He practises from 218 Strand in London. After pupillage in chambers in the Temple he spent six years as an in-house lawyer at the Treasury Solicitor’s Department, comprising three years in the Bona Vacantia Division (dealing with ownerless property) and three years in the Commercial & Property Litigation Team. In July 2008 he was the first employed barrister to be accepted as a full member of the Chancery Bar Association. He returned to private practice in 2010. Prior to coming to the Bar, he worked as a supermarket manager after leaving school, before taking A levels at evening classes and reading ‘Greats’ (classics and philosophy) at Oxford as a mature student. He then took the Diploma in Law part-time while working as a clerk to the Employment Tribunal and later as a case officer in the UK Central Authority for Mutual Legal Assistance in Criminal Matters at the Home Office. His commitment to life-long learning continues as in 2014 he obtained a degree in physics with the Open University, gaining a First, and recently completed a Master's in astrophysics (with Distinction) at Queen Mary University of London in his (very little) spare time. He was elected a Fellow of the Royal Astronomical Society in 2014. Colin has been an elected member of the Bar Council since 2005, and has served on numerous Bar Council committees, most recently the Ethics Committee and Legal Services Committee. All matters relating to disputes concerning real and personal property and land use including sale and purchase of land, conveyancing and land registration, overage agreements, mortgages, compulsory purchase, boundary disputes, adverse possession, covenants, easements, public and private rights of way, commons, village greens and other customary rights, bona vacantia and escheat, planning and highways, construction and engineering, residential, commercial and agricultural landlord and tenant, leasehold enfranchisement, trespass, nuisance, possession claims, access disputes, damage to property and agricultural and environmental law. Recent experience includes a claim for damage by a low-flying helicopter, advice on drainage rights, planning inquiries into wind farms and a £1.2 billion highways project, and cases on prescriptive rights of way and constructive trusts. Colin is particularly interested in some of the more academic and historical aspects of English property law: as a pupil he worked on the leading House of Lords case on chancel repairs, Parochial Church Council of Aston Cantlow v Wallbank  1 AC 546, and while working for the Treasury Solicitor he became an expert on the law of bona vacantia and escheat, particularly as it applies to dissolved companies and failed trusts. He has also been called upon to draft a conveyance of an advowson, to advise on whether certain land granted to a borough corporation by a Charter of King John in 1206 is common land or held on a charitable trust, and to advise on the interpretation of nineteenth-century Acts of Parliament concerning the ownership of the bed of the River Thames as between the Crown and the Corporation of the City of London. Traditional chancery work includes all matters concerning settlements and trusts; trusts of land, constructive trusts, charities, probate, construction and rectification of wills, intestacy, family provision, Court of Protection work and private international law. Commercial work includes banking and financial services, competition law, personal and corporate insolvency, partnership and company law, injunctions and other equitable remedies, fraud, conspiracy, mistake, misrepresentation, tracing and restitution, professional negligence and general contract and commercial litigation. Colin’s experience has included a £50,000,000 claim for misrepresentation, recovery of money embezzled by an employee and claims of constructive trusts over a pension fund. He has regularly been instructed to appear in bankruptcy and corporate insolvency matters in the High Court and County Court. Copyright, performance right, trade marks, passing off, unfair competition, patents, design right and registered designs, database rights, Internet domain names, computer and Internet law, defamation, breach of confidence and privacy, data protection and freedom of information. Colin was a member of the Government Legal Service’s Intellectual Property Working Group for five years, and for three years was the lead lawyer on IP matters in the Treasury Solicitor’s Commercial & Property Litigation Team. His cases have included: patents for computer software and electronic surveillance equipment; infringement of copyright and database right in electronic nautical charts; musical copyright and recording contracts; trade mark infringement and domain name abuse; advising on domain name disputes under the Nominet, WIPO and EURid procedures; defamation and harassment of a Revenue officer on a former pop star’s blog; and advice on contracts for a personal appearance by an A-list Hollywood film star. Public and administrative law, civil liberties and human rights including judicial review, public procurement, data protection and freedom of information, actions against the police, inquests and public inquiries and public international law. As a former government lawyer Colin is well versed in the principles of public law, and his experience includes a judicial review of a sale of land under the Crichel Down Rules, public procurement issues on IT contracts and overseas development projects, and advising on the jurisdiction and powers of the Parliamentary Ombudsman. He has advised government bodies ranging from the Highways Agency to the Ministry of Defence and from the Department for Education to the Prime Minister's Office. He has also acted for Claimants in judicial reviews against bodies ranging from the Independent Police Complaints Commission to the General Medical Council. Colin provided a new insight into the case which helped to win it and dealt with an elderly client and extremely obstructive opponent with great skill and care." Outside of these key areas of law, Colin Andress (2002) is always willing to consider any enquiry requiring the experience or knowledge needed to help you or your client. Please call Colin direct or the support team on 01823 247 247 if you would like to discuss any aspect of this profile.